Is IT your passion, and service excellence your goal? 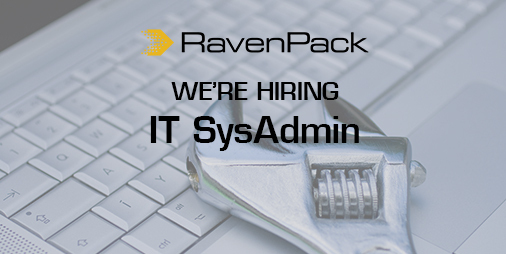 At RavenPack we are looking for an experienced IT System Administrator (SysAdmin) to join RavenPack’s Operations Team. Join RavenPack and help us maintain multiple cloud and local services supporting a fast-growing technology company. You will research and deploy new services, and help to design and maintain our 99.99% uptime system across a cutting edge infrastructure. As an IT System Administrator (SysAdmin) you will be reporting directly to the IT Support Team Leader and will interact with an international team of developers skilled in SQL, Python, Java, Common Lisp and Cloud technologies. You will be in charge of developing and maintaining both cloud and self-hosted infrastructure solutions to provide support to the company’s users. Building, monitoring and provisioning services, automating, scheduling jobs and doing regular checks will be part of your daily tasks. Continuously improving solutions based on users needs. Troubleshooting any issue related to operating systems and servers. Providing support to the different company departments. Staying up to date with the latest trends and proposing new solutions adapted to each situation. 1-2 years of professional experience as Linux and Windows Sys Admin. Demonstrable skills with scripting languages (Python, Bash, PowerShell) or equivalent technologies. Experience at work and communication with external providers. Basic database Administration (relational and NoSQL).